BERT JANSCH-1965-1975: THE FIRST DECADE. Although folk singer Bert Jansch was born in Springburn, Glasgow on the ‘3rd’ of November 1943, he spent his formative years living in West Pilton, in Edinburgh, where he later, embarked upon a career as a professional musician. Before long, Bert Jansch was regarded as one of the leading lights of folk scene and looked destined for a long and successful career. As 1965 dawned, folk singer Bert Jansch was signed to the Transatlantic label, and had released his eponymous debut album to critical acclaim on the ‘16th’ of April 1965. Eight months later, he released the followup It Don’t Bother Me to plaudits and praise. It looked as if the twenty-two year singer was about to enjoy a successful solo career. 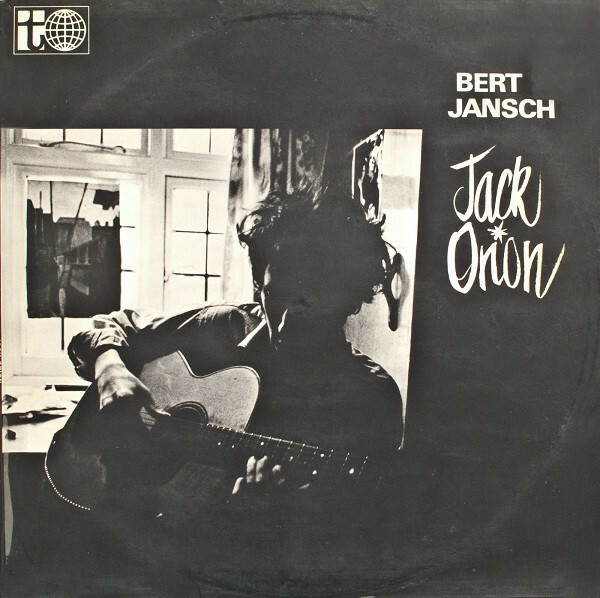 With things looking good for Bert Jansch, he returned to the studio in early summer 1966, and was once again, joined by his friend John Renbourn as he recorded Jack Orion. When this third album of traditional folk was released in September 1966, the reviews were mixed. While some critics were won over by the album, and continued to fly the flag for the folk singer, others felt it was a weaker album than its predecessors. Despite that, Bert Jansch’s star was still in the ascendancy. As 1967, dawned little did Bert Jansch realise that this would one of the most important year of his career. He entered the studio to record his fourth album Nicola in April 1967, which was Bert Jansch’s first folk rock album. 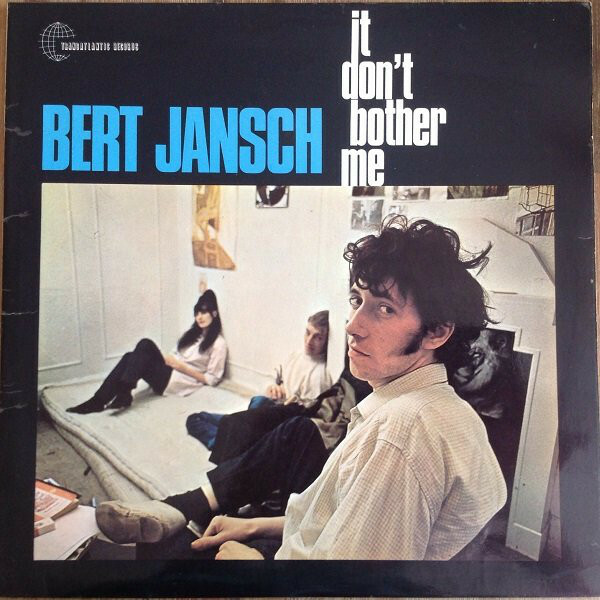 When it was released in July 1967, many reviews were positive, but some weren’t sure about the new direction Bert Jansch’s music was heading. Bert Jansch had realised that his music had to evolve to stay relevant, and increase his fan-base. However, this wasn’t the only change made during 1967. In 1967, Bert Jansch was one of the cofounders of Pentangle, which joined included his friend John Renbourn, Danny Thompson, Danny Cox and Jacqui McShee. They would combine disparate musical genres including blues, folk, folk rock and jazz over the next few years. Having joined Pentangle, Bert Jansch’s solo career was put on hold as the new band began honing their sound and playing live. Then in 1968, Pentangle released their critically acclaimed debut album The Pentangle on the ’17th’ May 1968. It was followed by another album of folk rock Sweet Child, which was released on the ‘1st’ of November 1968 to plaudits and praise. After this, Bert Jansch’s thoughts turned to completing his sixth solo album. Bert Jansch had started recording his sixth album in October 1968, and completed the album in November, just after Pentangle released Sweet Child. Two months later, Birthday Blues, which was produced by Shel Talmy, was released in January 1969 and was hailed as one of Bert Jansch’s finest albums. However, it would two years before Bert Jansch returned with the followup to Birthday Blues. Buoyed by the response to Birthday Blues, Bert Jansch joined the rest of Pentangle and recorded the album Basket Of Light with producer Shel Talmy. When it was released on the ‘28th’ October 1969, it was to critical acclaim as the album reached number forty-three in Britain. Nowadays, Basket Of Light which finds Pentangle fusing folk jazz and fusion is now regarded as a minor classic, and one the Pentangle’s finest hours. Meanwhile, Bert Jansch was working on his seventh album Rosemary Lane, between June 1970 and January 1971. Despite working on the album on and off for the best part of seventh months, Rosemary Lane, which was produced by Bill Leader received mixed reviews. This was a blow for Bert Jansch who had invested so much of his time into recording Rosemary Lane. Two months later, and Bert Jansch was back in the studio, and spent three weeks during March 1971, recording Reflection, which was a genre-melting album. Reflection found Pentangle combining Celtic music, country, folk, folk rock, gospel and even funk on what was an ambitious and eclectic album, but one that didn’t find favour with all the critics. Some were unsure of Reflection, and their reviews were far from positive. It was a case of deja vu for Bert Jansch after the response to Rosemary Lane. Despite the reviews of Rosemary Lane, Pentangle eventually returned to the studio and began work on their sixth album Solomon’s Seal. By then, Pentangle’s contract with Transatlantic had expired amidst arguments and wrangling over royalties. This resulted in Pentangle signing to Warner-Reprise, who had distributed their albums in America. Pentangle released Rosemary Lane on Reprise in September 1972, but the reviews were poor and so were the sales. Things weren’t looking good for Pentangle. They got even worse when Bert Jansch announced his intention to leave Pentangle on On New Year’s Day, 1973. Melody Maker ran the story Pentangle to split in the first edition of 1973. It was the end of an era, that had ended with a disappointing swan-song that sold badly. By then, the members of Pentangle had all spent the advances that they had received from Reprise, and owed the company significant sums of money. It would take the band until the early eighties before the advance was paid off. That was still to come, and in 1973, Bert Jansch was looking for a new record label. He was no longer signed to Transatlantic, and had signed to Pentangle’s old label Reprise. Bert Jansch’s debut for his new label was Moonshine, which was released on Reprise in February 1973. It was produced by Danny Thompson, and saw Bert Jansch combine baroque folk and folk rock which found favour with the critics. However, after just one album, Bert Jansch left Reprise and signed for Charisma Records. 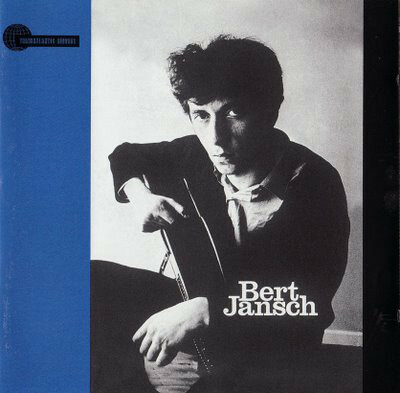 By then, Bert Jansch had written Chambertin which was one of two songs he recorded with Danny Thompson in early 1973 The other was John Renbourn’s Lady Nothing, which later, became part of Bert Jansch’s nine album L.A. Turnaround. Having signed to Charisma, Bert Jansch began writing the rest of L.A. Turnaround, which was produced by former Monkee, Michael Nesmith, and released to widespread critical acclaim in September 1974. L.A. Turnaround was an album of blues, country rock, folk and folk rock and was hailed as , Bert Jansch’s finest hour. Buoyed by the critical acclaim and commercial success that L.A. Turnaround, Bert Jansch returned with Santa Barbara Honeymoon in October 1975. It was a good, but not great album and was a disappointing followup to L.A. Turnaround. For Bert Jansch it was a case of what might have been as Santa Barbara Honeymoon failed to build on L.A. Turnaround.Santa Barbara Honeymoon was Bert Jansch’s tenth album since he released his debut in 1965, and was a somewhat disappointing way to close the first decade of his career. Despite that, the first decade of Bert Jansch’s career was the most prolific and successful of a career that spanned five decades. During the period between 1965 and 1975, Bert Jansch divided his time between his solo carer and his former band Pentangle and by 1975 was regarded as one of the top British folk musicians. This was just the start for Bert Jansch, who nowadays is regarded as one of the most influential folk musicians of his generation, who between 1965 and 1975 released some of his finest solo albums and was a member of the inimitable and pioneering Pentangle. ← MARCEL VOGEL’S LUMBERJACK’S IN HELL.